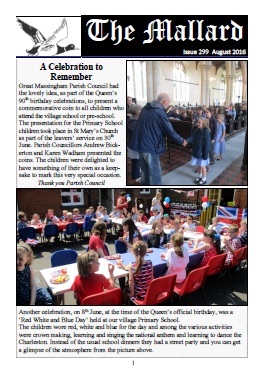 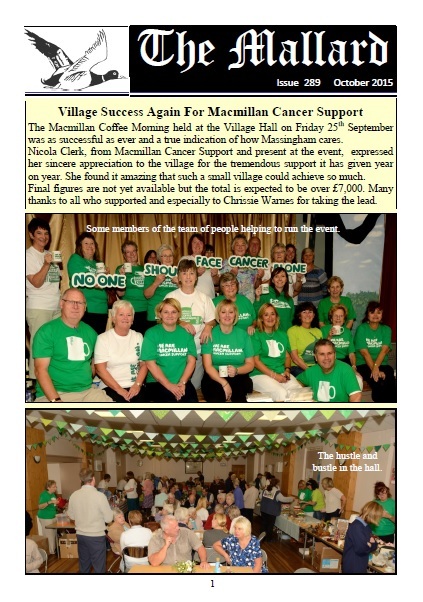 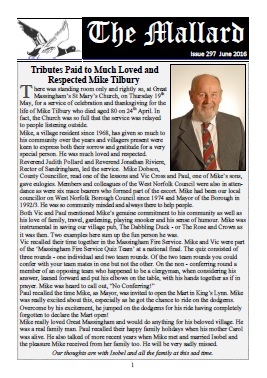 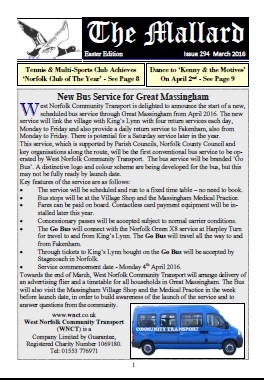 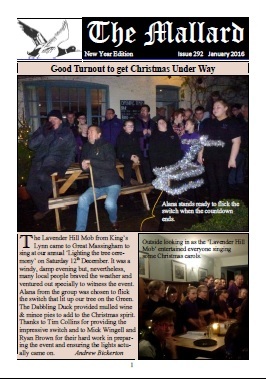 "THE MALLARD" is published every month and distributed free to the residents of Great and Little Massingham with the support of the Great Massingham Parish Council, the Parochial Church Council and Massingham Village Hall Committee. 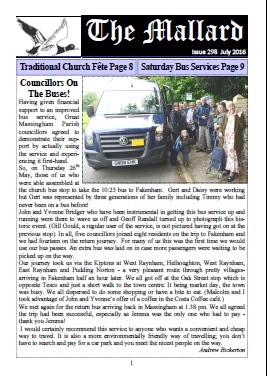 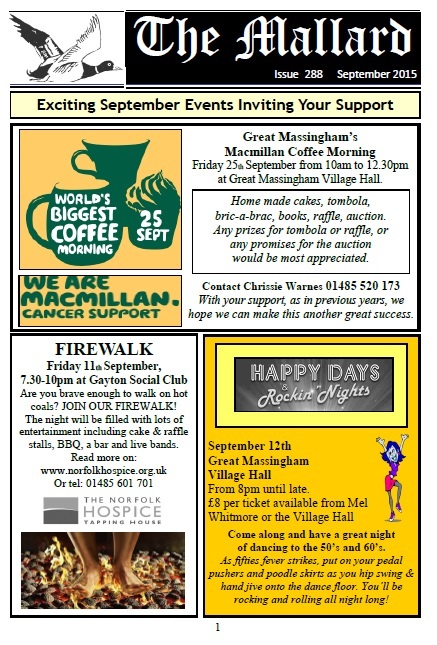 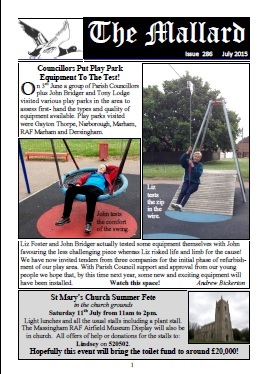 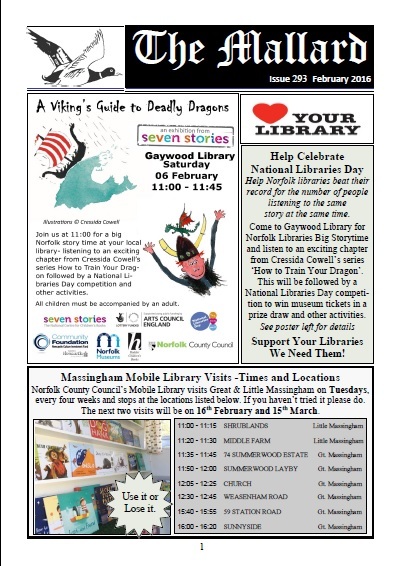 It includes news stories, notices, forthcoming events, church services, advertising for local businesses, and anything else that is felt to be of interest to Massingham residents. 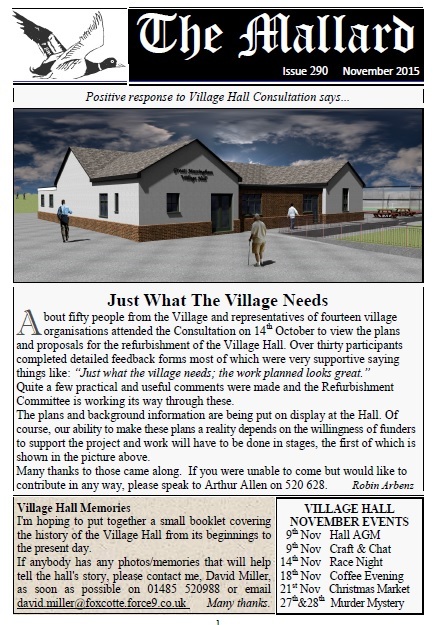 Copy for publication can e-mailed to the editor at the address below. 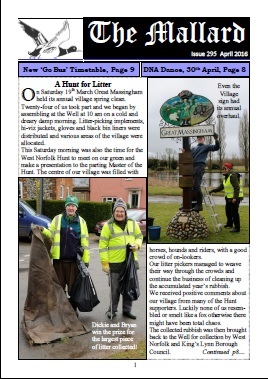 Deadline for articles or news is the 20th of each month. 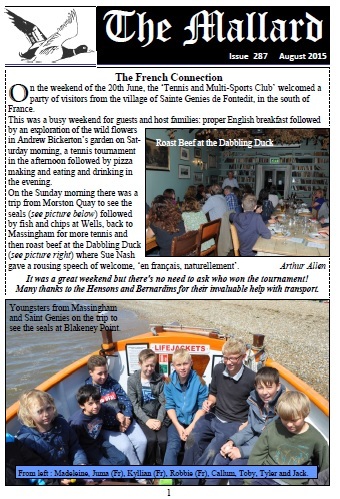 Publication and distribution takes place at the week-end as close to the 1st of the month as possible. 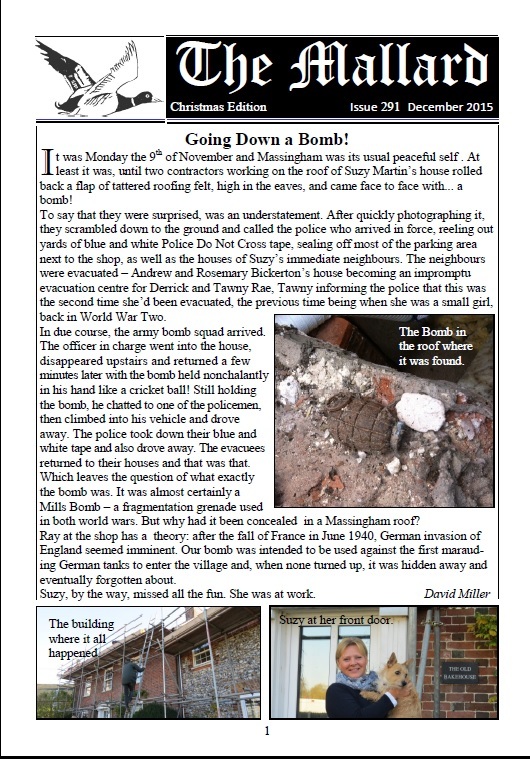 The current issue can be read at Scribd. 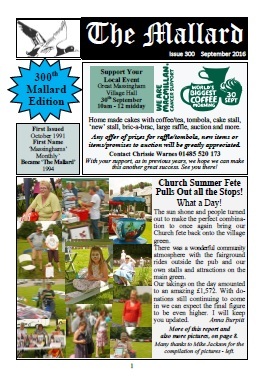 Click the cover but allow a couple of minutes for the whole magazine to load. 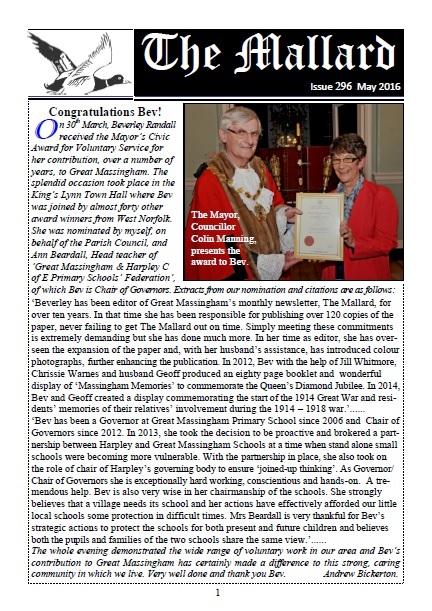 Below you can click on the archive to see other editions.